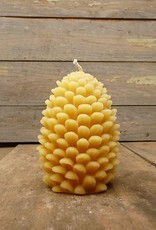 These decorative beeswax candles are not only beautiful, but also natural air purifiers for your home. Unlike paraffin candles, these decorative beeswax candles release negative ions into the air to remove toxins like dust, dirt, and pollen. Shaped like pinecones, these handmade candles make perfect Adirondack themed gifts for the holidays and other special occasions. 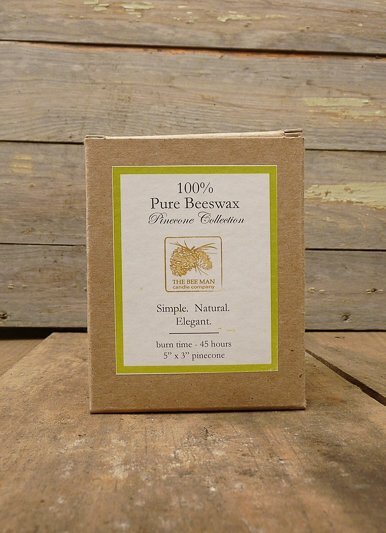 Decorative beeswax candles are not scented with any artificial scents, but instead have the natural scent of honey. Whether or not you burn these decorative beeswax candles, they make charming additions to your Adirondack home décor. 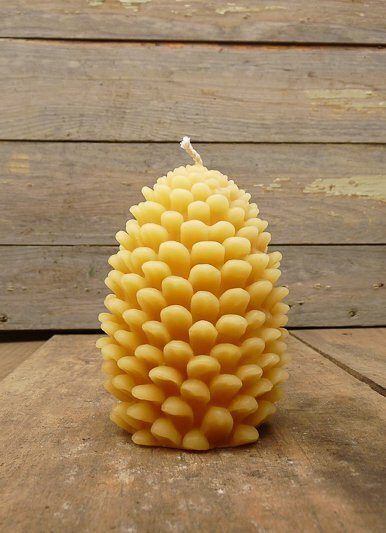 Each of these pinecone beeswax candles are made by hand-pouring natural beeswax into custom molds. 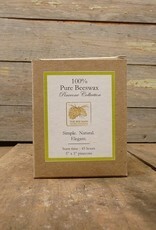 100% Pure Beeswax candles made in Canastota, N.Y. Approximate burn time of these decorative beeswax candles is about 45 hours – longer than regular paraffin candles, depending on room temperature. Each candle measures 5” x 3”.